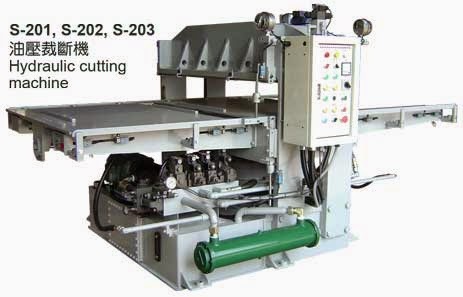 This machine is use to cut plastic, leather, card board or sponge with the shape. 1. Strong metal sheet: all the metal adopts the high quality strong metal, which will keep the machine in flat. 2. 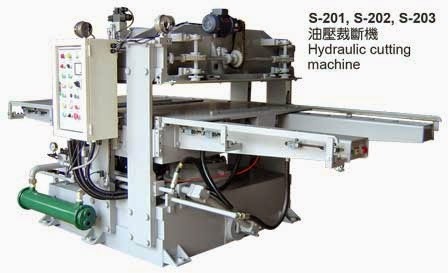 It offer a steady average cutting pressure which will keep the cutting mould in a best condition for using and will keep the knife in sharp. It wills also cutting full sheet production at one time without any loose in cutting. 3. Adjustable forward and backward pressure: you can adjust the forward and backward speed easily. 4. Stainless steel cutting cushion: clean, no dust, best one for food container cutting. 5. Easy operation and noiseless operation. 6. Two side cutting pressure are separate setting. It will better for mould using time. 7. Cutting pad removable device. 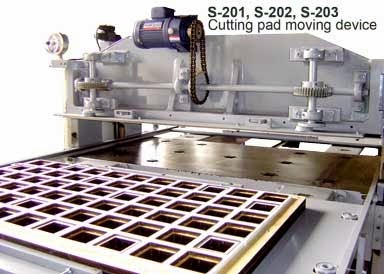 This machine can set the cutting pad move a bit after each cutting action. This device design for protecting the cutting pad have a better use life.